Fans of Canadian superstar Justin Bieber will soon be able to get an intimate look at his early life through a museum exhibit in his hometown of Stratford, Ont. The Stratford Perth Museum — located in the small city in southwestern Ontario where Bieber grew up and launched his meteoric rise as a teenager to the top of music charts around the world — will open an exhibit featuring a one-of-a-kind collection of Bieber memorabilia, beginning Sunday, Feb. 18, 2018 at 10 a.m.
Bieber and his family members have been working closely with the museum over the past few months to ensure the exhibit gives a behind-the-scenes look at the musician’s extraordinary path to success — beginning from his early days as a youngster in Stratford before he was discovered, to his present status as one of the world top-selling names in entertainment. The exhibit will be called “Steps to Stardom,” in reference to the steps of Stratford’s Avon Theatre, where Bieber used to sing and play his guitar as a young busker. A video posted to YouTube of him performing on those steps garnered millions of views and ultimately helped him land his first recording contract as a 13-year-old. Visitors will be able to see a wide array of artifacts provided by Bieber and his relatives, as well as other Stratford residents who have connections with him. The collection will include dozens of pieces from his music career, such as Grammy awards, Teen Choice Awards, a personal letter from former First Lady Michelle Obama and clothing he wore during major concert performances. It will also feature personal items from his childhood in Stratford, including a hockey jacket he wore when he played for the Stratford Warriors Peewee Travel Team as well as photos and videos. 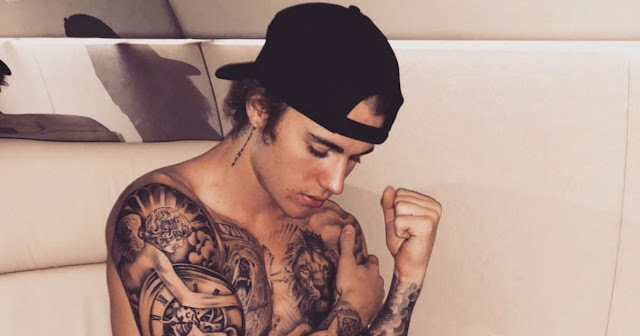 The museum, which typically receives approximately 7,000 visits per year, is expecting the exhibit to generate significant interest among Bieber’s following of dedicated fans across North America and around the world. The Stratford Perth Museum at 4275 Huron Rd., just west of Stratford’s downtown core and about 90 minutes outside of Toronto. For more information about the museum’s hours and admission, please visit stratfordperthmuseum.ca.